NAOMI ORESKES is Professor of the History of Science and Affiliated Professor of Earth and Planetary Sciences at Harvard University. Her opinion pieces have been featured in The New York Times, the Washington Post, Nature, Science, and other leading publications. She is the author of a number of books, including Merchants of Doubt: How a Handful of Scientists Obscured the Truth on Issues from Tobacco Smoke to Global Warming, co-authored with Erik M. Conway. 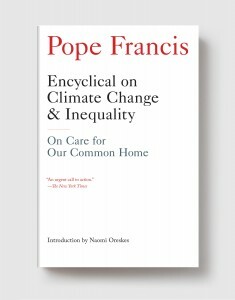 In May 2014, she attended “Sustainable Nature, Sustainable Humanity,” a meeting of the Pontifical Academy of Sciences that helped to lay the foundations for Pope Francis’sEncyclical.